We’re into day 3 of the global football (tsk-tsk, soccer) fiesta, and according to some estimates, as many as 1.5 million tourists are expected to be visiting Russia for the event. Moscow and Sochi along with St. Petersburg make the most popular World Cup destinations. With a majority of large-distance visitors, most of them will stay in Russia for as long as 12 days on average! That sounds like they could use some help as to what attractions are worth checking out. I’m at your service. Based on my several travels to the Land of Matryoshka Doll, I’ve collected several alternatives to the regular itinerary for two out of eleven FIFA World Cup 2018 host cities, Moscow and Sochi if you have a day or two without a game. Are you currently visiting Moscow or Sochi? 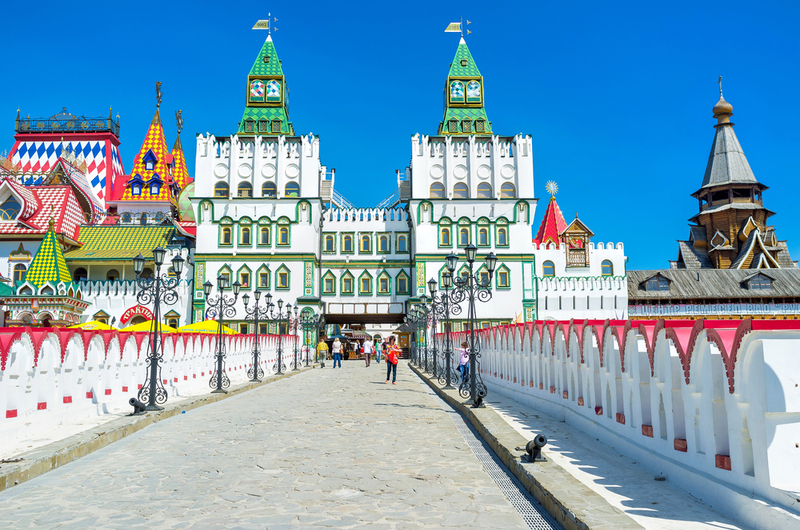 Would you like to explore more, get the essence of Russia, and understand more of its twisted and complex history but at the same time, you’d prefer to avoid the wild crowds of tourists that are flooding the squares and promenades as we e-speak? Here are my suggestions for the above host cities that wouldn’t probably make it to TripAdvisor’s Top 10, but will provide you with unforgettable, explicitly Russian experiences. Ever heard of ‘diggers’? This is a term in which Russian urban explorers refer to themselves. 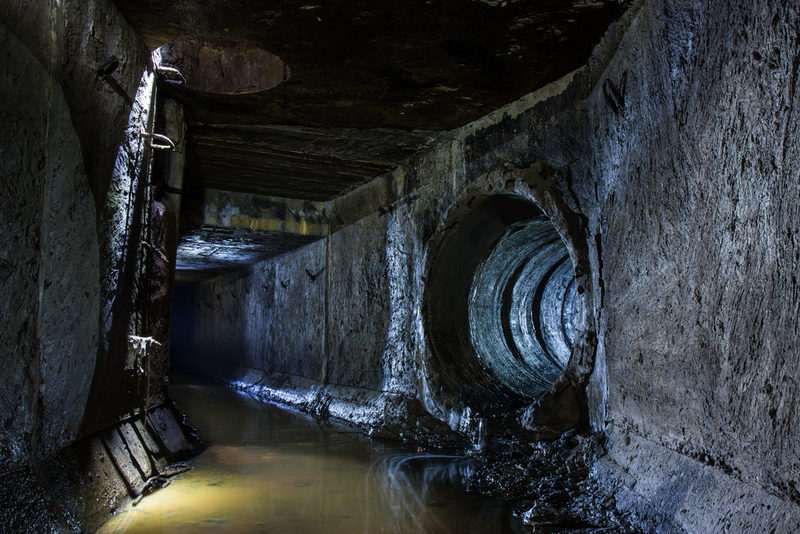 They explore sewers, metro tunnels, underground river channels, and forgotten military facilities in search of secret passages and the infamous Metro-2 stations. Soviet Moscow had a real underground life going on well… underground. And you are welcome to explore it. 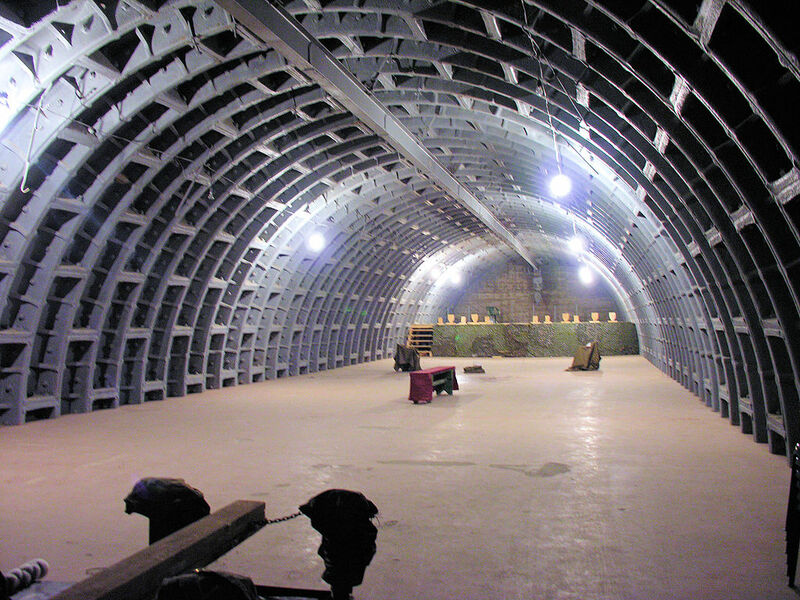 Depending on your interest, you may choose to “dig into” USSR bunkers, a secret Soviet metro line, declassified passages, or an underground river. Tip: Unless you’re very adventurous (verging on crazy), you probably wouldn’t like to head to these underground corridors on your own. There are plenty of operators that can guide you through the subterranean maze, however, many of them will offer tours exclusively in Russian. Consider these companies for English-speaking tours: bunker42 and Extreme Moscow. My advice? 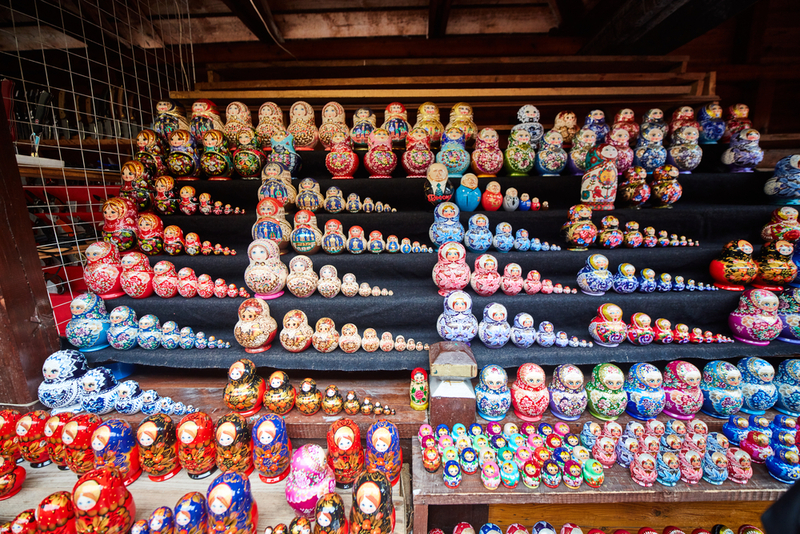 Don’t buy any gifts in Arbat, Red Square, or anywhere around Kremlin. They’ll probably be tacky, made in China, and poor-quality. Save your money, come to THIS place, and scream with delight once you get here. Izmailovsky Market is so quintessentially Russian that it’s truly puzzling why relatively few people realize its existence. A Russian Disneyland-like flea market, stacked with hand-crafted souvenirs, vintage clothes, woodwork, war memorabilia, and another hodgepodge of cheap goodies. Tip: It’s best to visit on the weekend, in the morning. Get off at the Partizanskaya metro station. You won’t miss it. It’s huge, wooden, bright, and discerningly otherworldly. The question of where this alcoholic drink originated is, in fact, a contentious issue. Several countries have claimed the title of the vodka motherland across ages, with Poland and Russia being always the strongest contenders. Regardless of who’s right, both countries are top producers of the world’s finest vodka, and I personally adore drinking with Russians. And that’s an approach I prefer to adopt rather than argue over historical/culinary intricacies. If you’re a vodka connoisseur, the Russian Vodka Museum makes an obligatory trip. Over 700 small exhibits, tours with complimentary sampling, and an impressive collection of different vodka brands. If you’re teetotal, you will still probably enjoy the visit. In the museum, you discover how vodka has been inextricably linked to the Russian history and culture, and how, at times, it contributed to the misery of the Russian people. The museum is located inside Izmailovo Kremlin. Following the 2014 Olympics, Sochi has been enjoying an increasing number of visitors each year. According to the city administration, at the moment there are 275,000 visitors in the city with 400K residents. If you’d like to escape that madness, here are a few ideas for a one- or two-day trip. Vodka in Moscow, wine in… the wine valley. Russia may not be known as a leading wine producer, but the subtropical climate of the Krasnodarskij Krai makes perfect conditions for wine harvest. That is probably why in this region a royal winery was founded by decree of Alexander II. Welcome to Abrau-Durso! Get in a car in Sochi, and about 6 hours of a scenic drive later you will land in a picturesque valley. It makes for a pleasant walk on its own, but since you’re already there, it’s worth booking the winery tour with wine sampling. You may also consider staying overnight in one of the nearby resorts. Tip: My recommendation would be to hire a car with a driver, for multiple reasons. First of all, rather few people speak English here, and also you may also get lost quite easily. To visit, see more information here: http://en.visitabrau.com/. Drive 20 km east of Abrau-Durso, and you will arrive at a maritime fanatic’s ultimate dream. Are you all about ships, ports, and naval museums? Check out Novorossiysk and the surrounding area. Novorossiysk is the main Russian Black Sea commercial port as well as a major naval base of the Black Sea Fleet of the Russian Navy. If you have been wondering where do all the Japanese cars you can see on the roads here come from, here’s the answer. Novorossiysk stretches along Tsemesskaya Bay and is surrounded by mountains of the North Caucasus. Interestingly, it is located in a seismic zone. What can you do there apart from a pleasant stroll in the marina? Two words – Mikhail Kutuzov. This Soviet cruiser was commissioned in 1954 and it participated in two armed conflicts in the Arab-Israeli war. She carried the service until 1998 and stationed in the Novorossiysk port as a museum a few years later. I must admit that I know absolutely nothing about ships. Nevertheless, I enjoy touring them. Mikhail Kutuzov was one of the best I’ve been to. The size of the cruiser is impressive, and the visitors are allowed to access most areas. Definitely recommend it! Thrill-seekers will enjoy wreck diving in the Black Sea, which is a true underwater vessel cemetery. Off the shores of Novorossiysk, there are more than 20 shipwrecks resting in deep waters. Experienced divers may contact one of the local diving clubs and inquire about the next available diving session. If that’s too much adventure, you may head to the adjacent resorts, Anapa (home to one of the largest Russian aquaparks) or Gelendzhik, where you can visit the famous Safari Park or admire the nearby waterfalls in Mountain Shakhan (check this operator, the site unfortunately in Russian only). Tip: Both these areas, Abrau-Durso and Novorossiysk can be also reached by car from Rostow in about 6 hours. I really hope you will enjoy your World Cup Russia tour. There’s so much more to see and experience over there than ‘just’ games and stadiums. Желаю вам хорошо отдохнуть!